A Last Look at Ireland’s Disappearing Storefronts « Adafruit Industries – Makers, hackers, artists, designers and engineers! Atlas Obscura has assembled a beautiful collection of photographs that showcase a particular style of Irish storefront, which is becoming less and less visible. The colors and typography are eye-catching to say the least; a mere glance at the photos will transport you back to a different era. 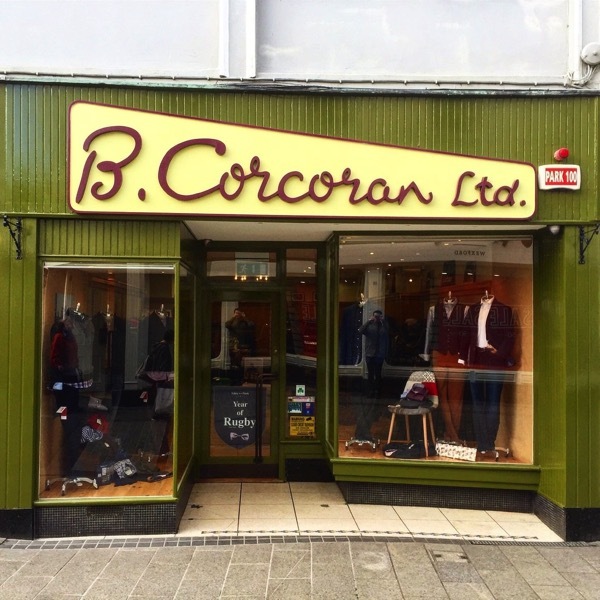 On a narrow street in the town of Wexford, in the southeast of Ireland, is B. Corcoran, a men’s clothing store. It’s been in operation since 1956, a fact which is evident from its storefront: above a painted olive green exterior, a wedge-shaped sign spells out “B. Corcoran Ltd.” in burgundy scripted lettering.